We have three runners at the Vaal on Thursday, 14th February 2019. 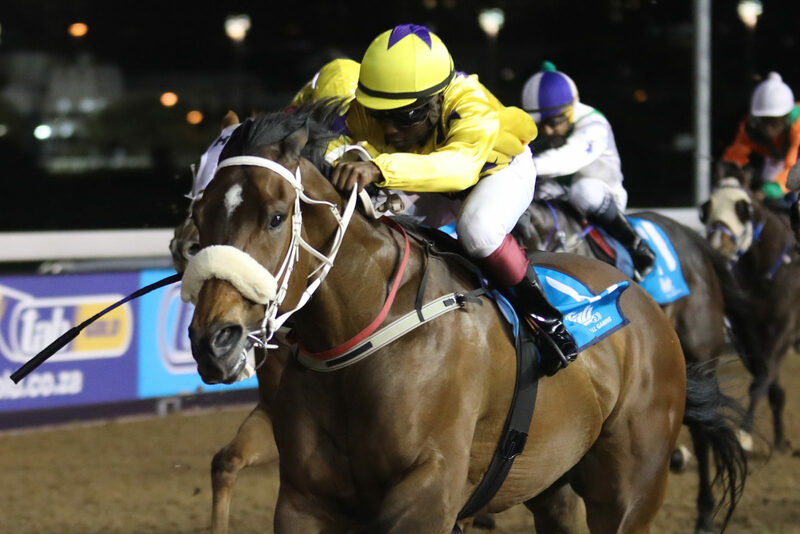 Syx Shooter, purchased last year at the KZN Yearling Sale, makes his debut on the card opener. Seventh Son runs in Race 5 and Alphamikefoxtrot looks to make some progress in the Handicaps in Race 8. See more here. Purchased at the 2018 KZN Yearling Sale, this son of Great Britain put up a smart grass gallop last week. However, we don’t think it was good enough to land him in the winners box on debut, but he should make a decent account of himself. We’ll be hoping for a first 6 finish and this run will bring him on a lot for a subsequent run in a few weeks. Throw him into quartets. It has been three relatively disappointing runs since winning two on the bounce in December last year. He is back in a 1000m dash after running a disappointing 12th over 1200m last week. He has decent C&D form and that should improve his chances, but as mentioned last week he still may need a drop in his MR before he becomes competitive again. We feel he has a place chance at best in this line up. Winning Form Comment: Will prefer this drop in distance. After taking a while to win his maiden, he has since performed moderately in his two subsequent handicap outings. He did make up some ground in his last start over the 1000m and we have entered him into this 1400m from a good draw, expecting him to finish off his run well. He has started to drop a few points in the ratings and that is going to be his only chance of seeing a winners box again. We will look for a positive run from him in this moderate handicap and hopefully he makes a decent account of himself. We give him an outside place chance. Winning Form Comment: Moderate post maiden form and prefers the turn.